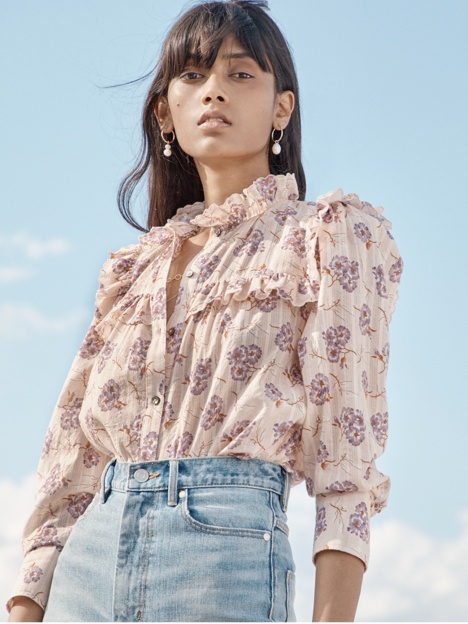 Crafted from lustrous silk jacquard, a vintage-inspired floral print enlivens this versatile top. Crafted from lustrous silk jacquard, a vintage-inspired floral print enlivens this versatile top. Its easy V-neckline and ruffled sleeves complement skirts, trousers or denim.